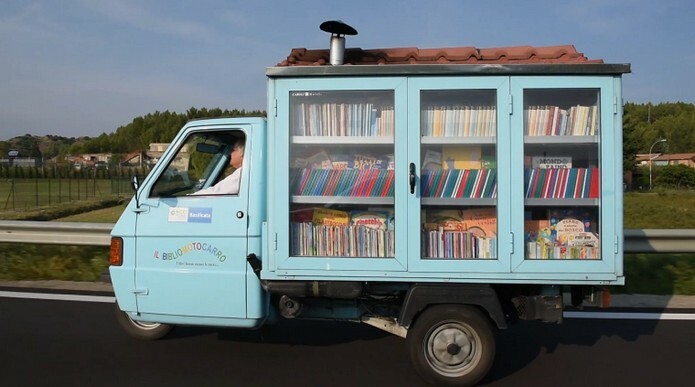 Antonio La Cava, a retired school teacher, transformed his 3-wheeler into a tiny mobile library to spread the joy of books to children in the remote places of Italy. ﻿ Every week, he announces his arrival in the village squares with the sound of an organ. The children eagerly wait for him and then congregate ons steps to browse the books. Does it really get any better than that?